Neck is the starting point of spinal column and spinal cord and is an important part of human body which links head with rest of the body. Weight of head is supported by it. Chain of nerves responsible to covey information sent by brain to rest of the body is also supported by this organ. A human has to turn his head to all the direction which is possible only because of this part. Human spine has a cervical portion which comprises upon 7 bony segments and these are usually referred as C-1, C-2, C-3, C-4, C-5, C-6 and C-7. Cervical Vertebrae are the 7 bones of upper spine. The disks are cushions between vertebrae and they absorb the shock of movement. Facets are the joints between vertebrae. Muscles support spine and move the head. Foramina are openings between vertebrae where nerves exit the spine. Nerve branch forms spinal cord to the arms. Adam’s apple, medically known as laryngeal prominence, is one of the important features of a human neck. Basically, Adam’s apple points to the lump created by thyroid cartilage and surrounding larynx which is commonly known as the voice box. Larynx or voice box is an organ found in neck of all human, mammals, reptiles and amphibians and help them in producing sounds, taking breath and protecting trachea against food aspiration. All the areas of skin contain nerve endings or nerve termination which are large number of points found on the surface of body, and skin and they might be in millions and their duty is to inform brain system about the feeling of sensation on a certain body area such as the feelings of cold, heat or pain. Likewise the other areas, this part also contains such type of nerve endings, but the most important thing about this body area is that it is highly sensitive; therefore, it is called as ‘erogenous zone’ which means love giving zone where special attention is given during sexual stimulation. The first is the movement which activates head’s sensory organs. The second is the movement which lets all such senses to be targeted properly. Muscles enable head to move in different directions including pulling of skull against spine, scapula and shoulders. Most of them are formed in pairs and divided into two branches. 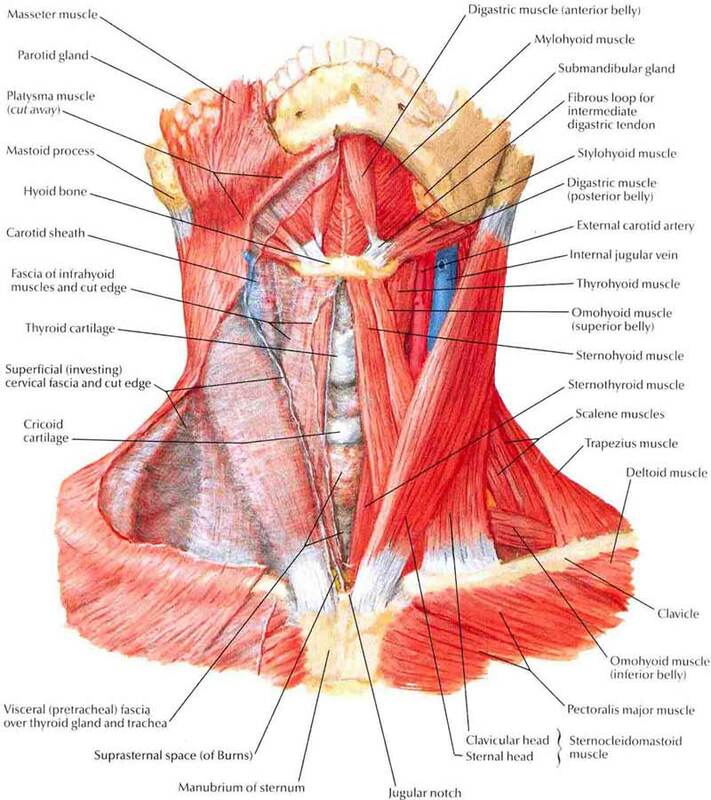 One example of such muscles is the muscles found in back area of the neck which play their role to connect skull base to many other vertebrae. They make head bow down to chest and also pull it erect. They also make face turn from one to the other side and when it is about showing facial expressions, the same muscles aid. 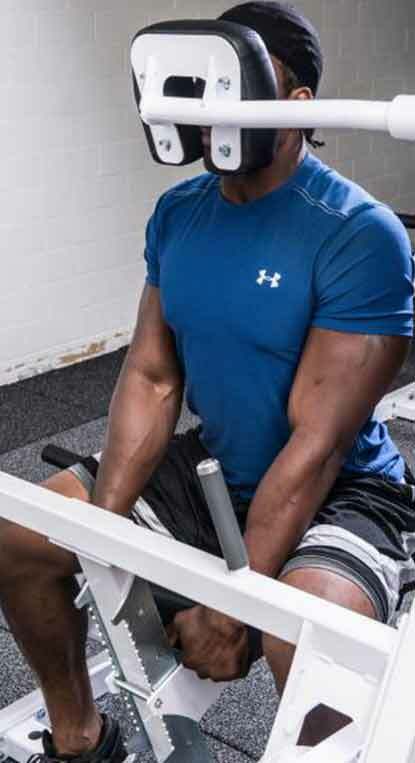 Chin to chest stretch does not require any type of equipment. This exercise is especially effective for front and back muscles. In order to perform this exercise, you only need to use your own body. This workout is used to target sides and like the above mentioned exercise, it also requires only body. This exercise targets muscles of the same area as well. This workout is also considered to be an extremely effective one to target this important body part. This exercise is also another great one for strengthen the neck. This stretching exercise is a great way to stretch the muscles in neck. It is a very common problem which is often caused by various types of disorders. You can often feel strain in your neck muscles which are usually caused by poor posture because of sitting in front of computer screen for many hours or some similar type of activity. Though it is a very common health issue, in most of the cases it does not refer to some kind of serious health condition or it may not be considered a symptom. However, if you feel even mild pain, it is better to seek medical attention as soon as possible especially if you are also having problems with your hands, arms or shoulders. The treatments completely depend upon the causes of the problem. However, most of the people can get relief from with the help of simple treatments such as heat or cold applications, changing the posture and the use of medication while one might have to go for physical therapy or even surgery in most severe case.